Nerium International was a proud sponsor of annual Red Carpet Style Lounge which honored the nominees of the 65th annual Emmy Awards. 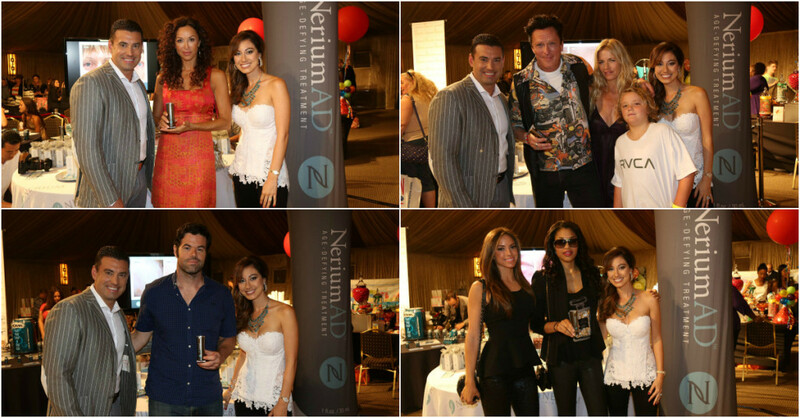 During the lavish invite-only event, celebrities including Sofia Milos (“CSI: Miami”), Patrick Kilpatrick (“Minority Report”), Constance Zimmer (“Entourage”, “House of Cards”, “The Newsroom”), Christina Robinson (“Dexter”), and Michael Madsen (“Reservoir Dogs”) learned about the benefits of NeriumAD Age-Defying Treatment and its exclusive, patented NAE-8 extract. Honoring the 65th Primetime Emmys, the Red Carpet Style Lounge benefited the Children’s Hospital Los Angeles.